"If you have made mistakes . . . and there is always another chance for you. . . . you may have a fresh start any moment you choose, for this thing we call 'failure' is not the falling down but the staying down." 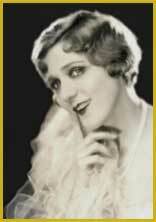 Mary Pickford started in the theater at age seven touring with her family in a number of theater companies. She was known as "Baby Gladys Smith". In 1907, she took her mother’s maiden name, Pickford, and joined the David Belasco troupe, appearing in the long-running The Warrens of Virginia. She began her film career in 1909 with the American Mutoscope & Biograph Company working with director D.W. Griffith. For a short time in 1911, to earn more money, she joined the IMP Film Co. under Carl Laemmle. She returned to Biograph in 1912 and in 1913 joined the Famous Players Film Company under Adolph Zukor. She then joined First National Exhibitor's Circuit in 1918. In 1919 she helped to establish United Artists. Like most movie stars of the silent era, Pickford’s career was fading as talkies became more popular among audiences. In her late thirties, she was no longer able to play the children, teenage spitfires and feisty young women so adored by her fans, nor could she play the sleekly elegant heroines of early sound. Mary Pickford retired from acting in 1933. She continued to produce films for others, including Sleep, My Love (1948) with Claudette Colbert and Love Happy (1949) with the Marx Brothers. 1976 Oscar Honorary Award: In recognition of her unique contributions to the film industry and the development of film as an artistic medium. 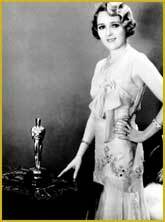 Mary Pickford was not present at the awards ceremony. 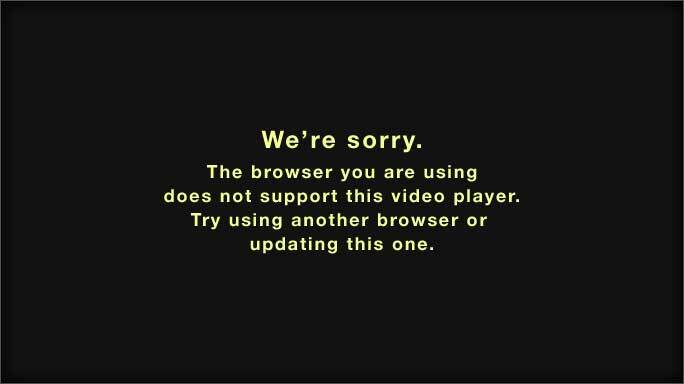 The presentation was made at her Pickfair estate and taped for inclusion in the broadcast.